Emma in Bromley: Happy Star Wars day! Yeah! We celebrated! I have loved Star Wars since I was a child and my four children love it too! I wish this was around in the 70's and 80's when the films were out! I loved Starwars as a kid and still do! 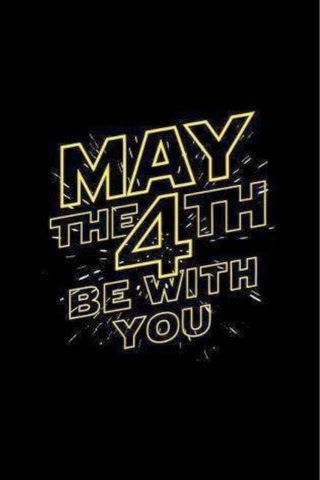 Happy to Celebrate May the 4th! I love this day, husband is a mad fan and we are looking forward to the new film.